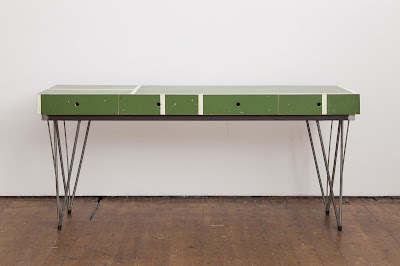 On a recent visit to the demolition of a South London Scout Hut I found a number of broken table tennis tables, mostly half table sections or just legs. 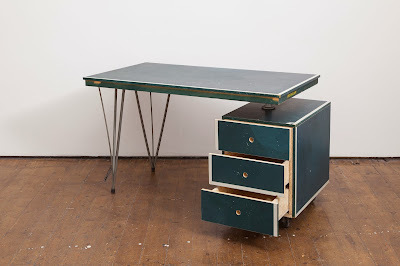 Nothing found was useable as is, and odd halves couldn't be matched up so I decided to make a series of new tables from the discovery. The table tennis bat and ball desk light has a small white light bulb (not seen in pic) the size of a ping pong ball suspended from the rear of the bat as if its about to be smashed onto the table. 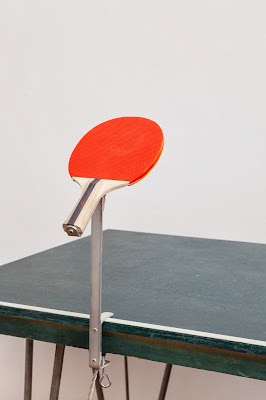 I've made up the aluminium bracket to mimic the type used to clamp nets onto tables. Hopefully i'll post some more pictures of this lamp in detail soon. 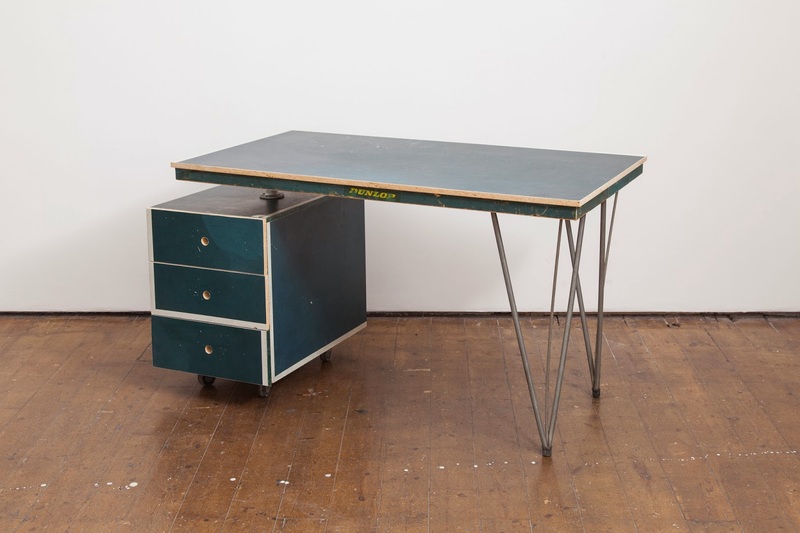 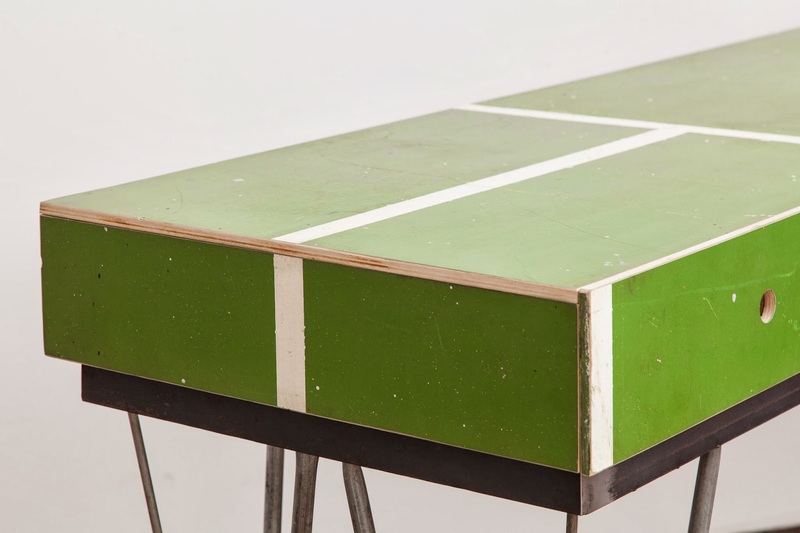 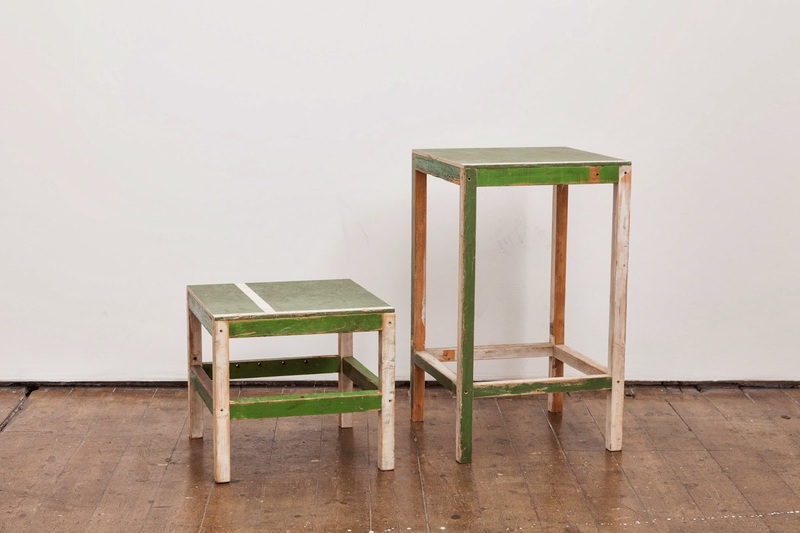 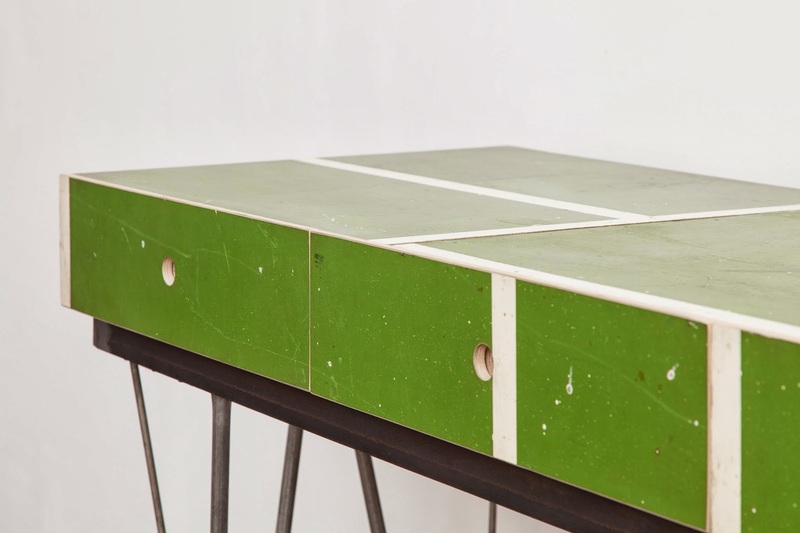 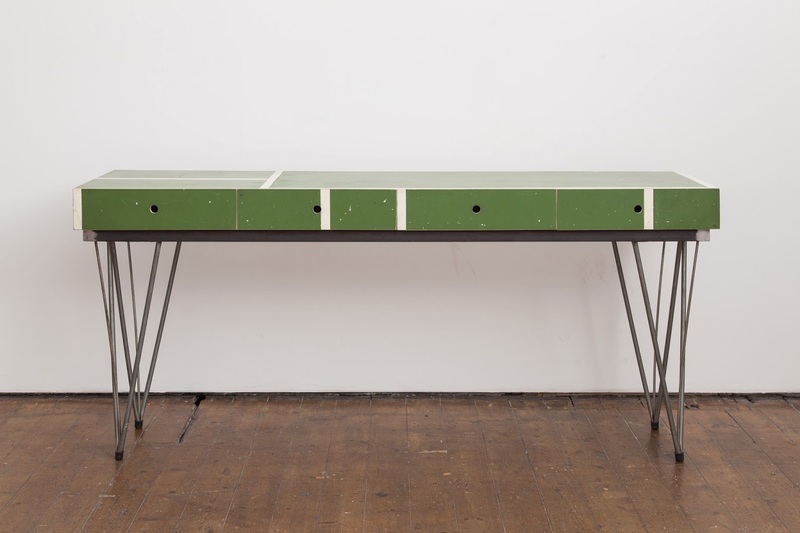 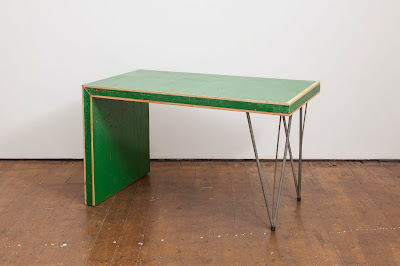 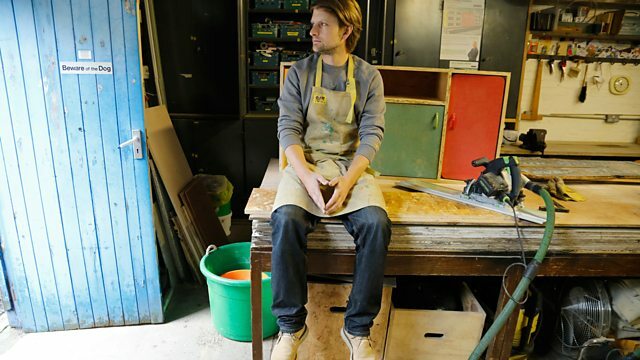 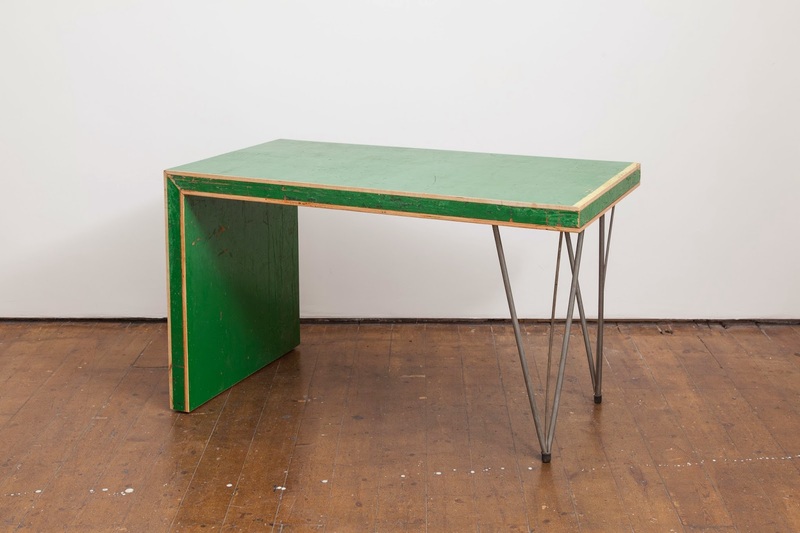 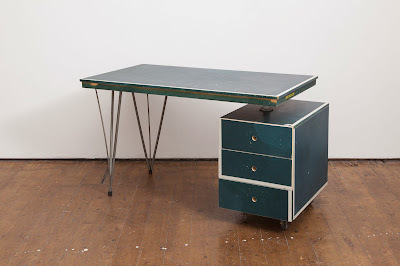 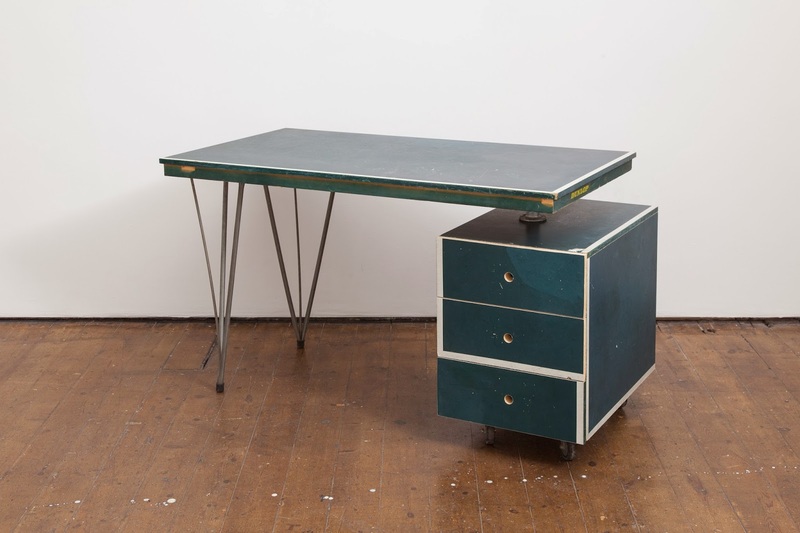 Above: Table Tennis Desk (No.2) made from very worn overpainted sections of table tennis tables and original legs. Below: two of a number of simple plinth tables made exclusively for Ally Capellino for a private shows in Paris and Florence (not available). 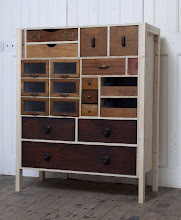 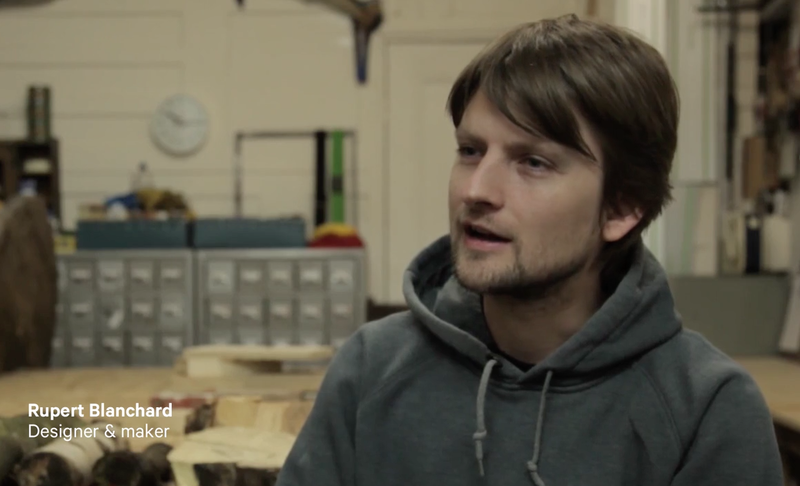 ...I'm still working on a sideboard/cabinet to complete this collection, then the series will be available at Elemental. 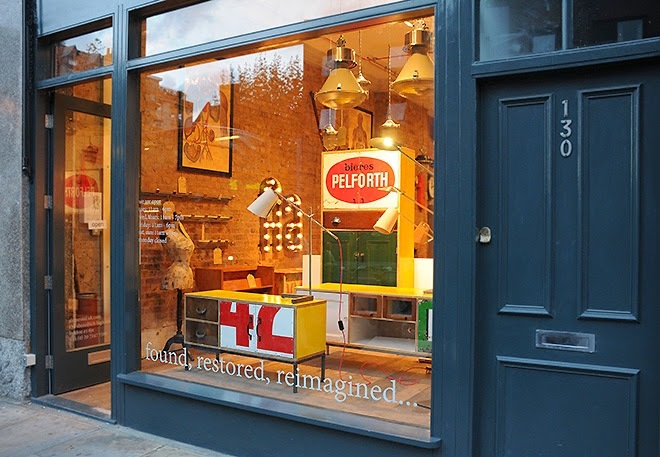 Thank you to Jason (the Photographer) Gareth (the assistant) and Veyes (the workshop assistant) And thank you to Seventeen Gallery for the use of the gallery.